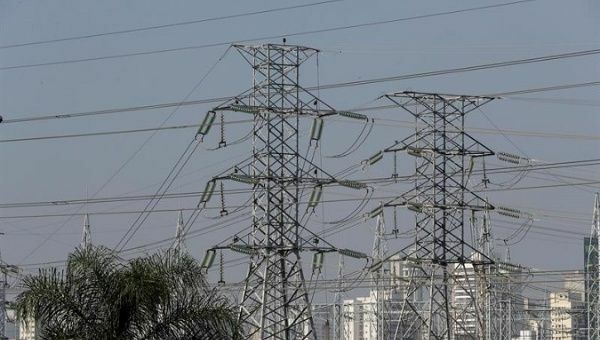 The Brazilian state of Roraima is facing a potential loss of electric supply as the economic blockade prevents them from canceling a US$40 million debt. August 31 (teleSUR) The Brazilian government has confirmed that the economic blockade imposed by the United States and the European Union against Venezuela is preventing them from canceling a US$40 million debt it owes to the National Electric Corporation of Venezuela, threatening the continuity of the electricity supply in the state of Roraima. The bordering state of Roraima receives its energy supply through a transmission line commissioned in 2001 by former Venezuelan President Hugo Chavez and his counterpart Fernando Henrique Cardoso. Nunes said Brazil wants to cancel the debt, but they haven’t found payment mechanisms that don’t clash with the restriction imposed by the U.S. and the E.U. On June 4, Caracas warned Brazil that if they couldn’t pay within 90 days, the state company could end the supply arrangement.